'Walking dead' Tour. Grrrreat! APP remixed? New Ian Anderson music is always a delight. 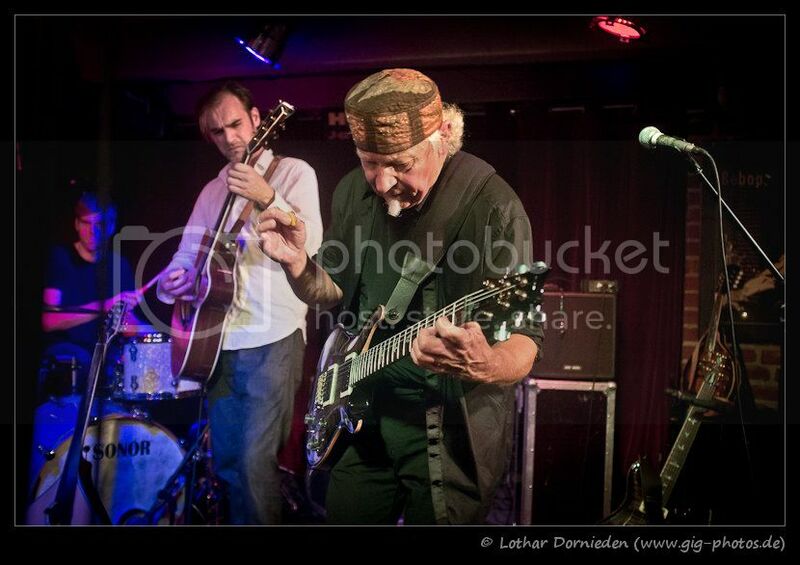 Jethro Tull guitarist Martin Barre has announced a gig at The Robin, in Wolverhampton, on Thursday, October 10, 2013. The new tour follows the release of his fourth solo album, Away With Words, through RSK’s new label, Edifying Records, on Monday, September 30. The record will feature new arrangements of Tull material together with some brand new compositions by Barre. With the seminal prog outfit still on indefinite hiatus, Martin Barre brings back to life some of Jethro Tull’s classics but also less known gems, with the help of engineer James Bragg. The track list features Requiem, From a Deadbeat to an Old Greaser, Moths, Home and Fire at Midnight amongst others. Martin said: “Re-arranging and representing the Tull songs featured on this album became a very pleasant and rewarding task. Talking about his new compositions included in the album, he added: “I have written the rest of the music, hopefully with sympathy and taste. Composing and re-arranging is my passion. "Bringing together the many acoustic instruments was a delight for me, but of course the electric guitar couldn’t be totally left out of the picture! On Away With Words, multi-talented Barre plays acoustic/classic/electric guitars, bouzouki, mandolin, bass, flute and bass clarinet, with Dan Crisp taking care of vocals. Completing the line up are Frank Mead on blackwood flute, whistles, bodhran and blues harp, Jonathan Noyce on bass and George Lindsay on drums and percussion. Martin Barre started his music career in the early sixties playing saxophone. He audition for Jethro Tull in 1969 and was handpicked by Ian Anderson to take on guitar duties from Mick Abrahams. Today he’s the longest standing member after Anderson himself, having appeared on all of their albums apart from their first. Barre is also a talented flautist, both live and on record, with Jethro Tull and solo. "The quality and uniqueness of his work and a series of high profile collaborations contributed to make him one of the world’s most rated rock musicians, with his signature ‘Aqualung’ solo voted as one of the top guitar solos of all times" (Guitar Player Magazine). ALWAYS the quiet one, compared to the flamboyant exuberance of their one-legged flautist, vocalist and songster-in-chief, Ian Anderson, Martin Barre has garnered much critical acclaim for his work on huge-selling albums such as Aqualung, Thick As A Brick, Heavy Horses and 1987's award-winning Crest of a Nave for which he was honoured with a Grammy. But this recognition came in spite of inauspicious beginnings: a shambolic audition following the hasty departure of Tull's original Blues-orientated guitarist, Mick Abrahams, and the short inter-regna of Tony Iommi, guitarist with Earth (aka Black Sabbath) followed briefly by David O'List, previously with prog-rocksters The Nice. "Yeah it was horrible! Very badly organized and chaotic and very uncomfortable for everybody involved," he says. "It's not the best way of finding a musician having a room full of them and dragging you up for two minutes to see what you can do! But that was 44 years ago – that's a long time and that's the way things were done back then. There was no sophistication at all. "They were exciting times but there weren't great guitar players around other than Hendrix and Clapton and Peter Green and a few others. The rest of them were all pretty mediocre but in the 40-odd years since everyone has learnt how to do it just to survive!" Martin brings his six-piece band to Budleigh Salterton Public Hall in November with a heady mix of blues and rock, spiced with selected gems from the weighty Tull back catalogue. When I spoke to at his home in West Devon, he had just completed some overdubs on the final track of the new album which is due out any day now. "It's finished now finally and it's all looking great," he told me with palpable enthusiasm. "I've got a deal that I'll hopefully be signing next week and they're talking about a late September release. I'm hoping that'll be mid-September. It's all looking excellent." So what is the idea behind the new album. "Well it's an idea I had about six years ago," he admits. "I thought some of the quieter more melodic Tull tunes like Moths and Old Greaser and Fire at Midnight would be really lovely played with guitar and very mellow flutes, bouzoukis and mandolins… rather than just Jethro Tull instrumentals. "I wrote a lot of music that was sympathetic so the end result is that nearly every track has a twin piece of music that I've written, either at the front or in the middle. It all sort of segues." I asked Martin about the new tour which kicks off properly this month at the Tavistock Wharf and runs through well into November, following their triumphant return to Fairport Convention's annual Cropredy get-together in early August. "We play some blues standards," he told me. "Things like Steal your Heart Away. I've re-written an old blues thing called Rock Me Baby that loads of people have recorded but you won't recognise it. "I don't like boring 12-bar blues, well they're not boring – it's great playing them – but I like to take the music a bit further. "It's a very cool arrangement and it still rocks, it's got lots of music in it. Then I've taken things like Fat Man, New Day Yesterday, Song for Jeffrey and I've given them a bit of a shake-up to make them slightly more oddball, a bit heavier. "So some things are messed with because it's fun and other things just need to be left well alone. By the time we get to Budleigh I think we'll probably have another two or three new numbers in the set. "The whole idea in my mind is to keep it really fresh, so it changes all the time, but it'll be a great set. Good fun. "I mean, if you aren't having a great time on stage every night then something has to change and I make sure it changes before it gets to that point. So every gig's a good one. "I read a lot of fan letters some saying Jethro Tull's no good without Martin or Jethro Tull's really good or my band's really good – everyone has a different take on it. "But one guy said, 'Look, get over it and look on the bright side. We had one great band and now we've got TWO'. And that's the way I look at it. Puts it in a nutshell really!" Tickets for the gig at Budleigh Salterton on Sunday, November 10, are £18.50/£20.50 or £25 on the door. Tel. 01395 443419 or 07891 663044. "I truly love what I'm doing; I'll never give it up," declares erstwhile Jethro Tull guitarist Martin Barre, on his way to rehearse with his new band for a tour that kicks off at Tavistock Wharf next weekend. For the musician who was so terrified of performing as a gifted teenager that it took him ten years to pluck up the courage to stand in front of a live audience, he hasn't done too badly as a professional rock star. And with the globally successful prog band with which he made his name now resigned to the history books, at 66 Martin has seized his newfound freedom with incredible enthusiasm and vigour. Not only is he taking to the road to perform a lively, heavyweight, fired-up blues and rock-fuelled set, peppered with Tull classics, he also has a brand new album up his sleeve. He played a few band gigs last year and the line-up has now been honed to feature young Devon singer songwriter Dan Crisp on vocals, drummer George Lindsay and saxophone, flute and harmonica player Frank Mead. "We've got some really good new tracks to play and we have been working to improve all the time, chopping out anything that's weaker than the rest and getting some blues standards in there," says Martin, who says his aim is to move people – both physically and emotionally. "I think the audience should be able to bop to the music; I want them to feel the excitement from the stage." Perhaps unusually for a veteran of his standing and experience, Martin is always ripe for fresh musical experiences and ready to learn from other artists both old and new. Recently he's witnessed old friends Fairport Convention down at St Ives, and travelled to Bristol to see Robert Plant in concert. "That was an amazing show," he says. "It's inspiring to see other bands and I find it such a pleasure. "If you have passion and enthusiasm, then it will come out in your music. I never tire of playing at all and I still want to improve as a guitar player. There's a whole other level to get to yet, so many facets; it's not just about the technical side of it. "There's always a great piece of music that you haven't written yet. "I love melody and if you can write something that people can hum and recognise as a 'nice tune', it's a very powerful thing. "Age isn't a criteria for making good music, but young kids do have a lot of energy; they can write simple stuff and really empower it. As an entertainer you owe it to yourself to find out why an audience likes the things they do, and not just dismiss it because it's new. That really is the beginning of the end." As opposed, of course, to the start of a new chapter, which is marked by Martin's classical crossover LP Away the Word, which will be on sale on the tour. It is the fruit of happy and absorbing recording sessions at his home in the Devon countryside near Plymouth. "I've been wanting to do it for ever. It was great fun and very self-indulgent. The whole album was just me and an engineer doing a track a day; it was fantastically easy and just fell into place. It's a very positive album, easy on the ear and very tranquil," he says. "You can sit and listen to it and let the mood envelop you." It combines recent music written by Martin with new treatments of some appropriate Jethro Tull pieces from the past. "It's quite an exciting project and next year I am going to take it out on the road with a four-piece acoustic band of guitars and mandolins and whistles for a series of small, high-quality gigs," he reveals. "Getting out there to perform is a vital part of the whole thing. Just imagine if Hendrix or Mozart or McCartney had just spent their lives in a room with all their music..."
Martin Barre and his band play at Tavistock Wharf on Saturday, September 28, and is also taking part in the Blues in the Bay Festival at the Princess Pavilion, Falmouth on October 12, and the Budleigh Salterton Public Hall on November 10. For more details visit martinbarre.com. Looking forward to Mart at Leadmill Sheffield on 8th Oct - not long now! Yay! And a review would be much appreciated + set list + some photographs. Indeed it is and a very fine couple you make. When I cast sail.. away across the Irish Sea I'll be dropping in on all of you ...and that's a promise!! Oh my God, I think Martin is mistaken, my dream to see together again Ian and Martin vanishes, this has done is a provocation that the courts will decide. Ian's turn, their new album will be of Jethro Tull to respond to this challenge? 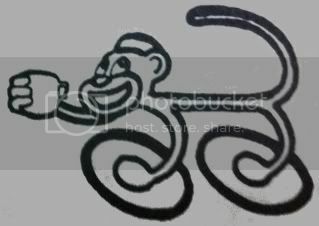 I don't think I did do it right - it was intended to be amidst the text of my post and yet has ended up as my 'avatar' pic (is that the right expression?) - how the heck can I adjust it to be reet? this has done is a provocation that the courts will decide. This would have to be approved by 'Tull Management' to avoid legal problems. I wonder what happened to Martin Barre's New Day? Martins last gig is on the 10th November at Budleigh Salterton, Devon and appearing with him is his buddy, John Carter from John Carter and the Chocolatiers. John Carter is a talented singer / songwriter now based in Looe, Cornwall. In the early 60's John was a member of The Dwellers and The Moonrakers alongside Martin Barre who went on to join legendary rock band Jethro Tull in 1969. They have remained close friends, and in 1997 they recorded an album together, "Spirit Flying Free", which also features Jethro Tull members Jon Noyce, Paul Burgess and Dave Pegg plus Chris Leslie from Fairport Convention. Two years later came "Clean The Page", again featuring the talents of Martin Barre and Jon Noyce alongside Maartin Allcock and others. John's new solo CD "Not Completely Accurate" was released in 2013, produced by Maartin Allcock who also plays on the album, as does (of course) Martin Barre. Fairport's Dave Pegg and Chris Leslie also feature, plus Malcolm Wood, Deborah Sandland and Spank The Monkey's ace guitarist Martin Green. John often sings his own songs backed by the brilliant band BushFieldSmith, a trio of gifted singers and writers themselves. Their first recorded collaboration as the Chocolatiers (so named because of John's legendary sweet-tooth!) is called "Cheese Straws". Mention Jethro Tull and two names spring to mind. Ian Anderson on flute, vocals and acoustic guitar and Martin Barre on six string electric lead guitar.For over forty years these two brilliant musicians were inseparable creating highly individual, distinctive, quality sounds - the two key components in Jethro Tull music...no disrespect to Mick Abrahams. If Ian was the brick Martin was the mortar. The decision made by Ian to go ‘solo’ in the Autumn of 2011 initially with TAAB2 thereby putting Tull on ice in favour of his own backing band might have surprised even upset many people. It has however given Martin the opportunity to revisit, refine and now develop his own musical niche..a journey that sees Martin embarking on his latest Autumn tour with his own band performing both in the UK and Europe. For me, the opportunity to trek over the Peak District hills to see Martin perform with his band in Sheffield on October 8th was certainly too good an opportunity to miss. Interesting venue the Greystones nestled on a hillside on the outskirts of the city surrounded by semi detached and terraced housing. Typical spacious city pub with a compact concert room at the back. A quick examination of the gig guide displayed an impressive and varied list of quality acts performing at the venue which provides good food and a varied age range of clientele many of whom are influenced by the quality music on offer on a weekly basis. Band on stage at 8.30 stated the advertising board and sure enough that’s when Martin strolled on to the compact stage to a tremendous roar from the almost full crowd most of whom were male, many resplendent in a variety of Jethro Tull t shirts and yes even some bright new Martin Barre t shirts as well. Drummer George Lindsay and new band member - bassist Greg Harewood closely followed Martin as the set opened with the rocky MB instrumental Murphy’s Paw.As the rest of the band trooped on stage towards the finale of this tune, the rhythm section suddenly kicked into a very familiar driving rock riff as Minstrel in the Gallery kicked into full throttle bringing huge grins from band members and stamping feet, punched fists and loud cheers from the audience. To quote a line once used by my good friend Dave Hall..'Here we go' Martin was clearly enjoying himself and why not..great songs brilliantly played. It began to dawn on me by the third number To Cry you a Song that this was more than just a backing band however brought together to support Martin. This was a band in its own right with Martin at the helm. A band full of energy able to rock it with the best of them yet change gears, times and moods at will.Tight as hell. If proof was needed that this was a band committed to deliver the very best then the next tune Watch your Step underlined just how connected and rehearsed this band really are. And so it continued with band members being allowed breathing space to showcase their own individual talents. Having felt disappointed with Martin's choice of singer last year, this time round he has acquired a much more appropriate and enthusiastic frontman in vocalist Dan Crisp. Dan certainly made a difference not only remembering the words but singing them with true conviction whilst drummer George Lindsay, surely one of the tallest drummers around, drove the rest of the guys superbly. However if Martin was the star, special mention must go to multi instrumentalist Frank Mead a regular in Bill Wyman's band, who was quite frankly brilliant throughout. His vocal delivery of A Song for Jeffrey definitely one of the highlights of the evening. Martin's approach to this series of concerts in the UK and Germany is interesting. Several classic Tull songs and some lesser known Tull tunes lovingly stitched together with Martin's own material taken from several previous studio solo albums and of course the excellent new studio cd Away with Words. Added to that, Martin chose a few surprise covers that really sounded as fresh and alive as if they had been written the week before. To achieve such a feat with songs like Crossroads and Rock Me Baby was quite staggering !!! If Martin wondered prior to the tour whether this was the right approach, Sheffield's appreciation of the man, his guitar prowess and musicality must have confirmed beyond doubt that yep this has to be the way forward.A standing ovation at the end...okay they were standing anyway but the roars of approval paralleled the band's sound in volume. It truly was a great show and yep I wanted to get in the tour bus and follow them down to the next gig if only the day job would let me. Thanks for the review patrick - much appreciated. I'd rather like to see Martin "up the ante" a bit and start playing in bigger venues with this line up. I think if he tours in 2014 in venues similar to the ones he's played in this year then it may start to stagnate at bit. Perhaps even a round of larger festivals next year, along the size and capacity of the Cropredy Festival he did this year would raise the band's profile more. I think the problem for Martin is whether he can get bums on seats. It proved difficult in the UK last Autumn and that was mainly in smaller venues. May be this explains why American promoters are reluctant to get involved. There are thousands of Tull fans scattered around the UK yet if Ian Anderson is not part of the line up, are many of these fans that interested. When Cold Flame toured a bit with Wild Turkey a few years back the WT line up included both Glenn Cornick and Clive Bunker. Yet the tour struggled to interest punters and consequently there has not been a Wild Turkey tour since. I think that's it in a nut shell. Play at larger venues and the concert hall is half full; play at small clubs/halls and the place is packed out to the rafters. But will Martin worry that much ? I don't think so. He says he's having a great time with his own band so fair play to him but in the back of my mind is the thought that he's "winding down" after a long and successful career and enjoying just having a great time with some competent musicians and no one should begrudge him that.